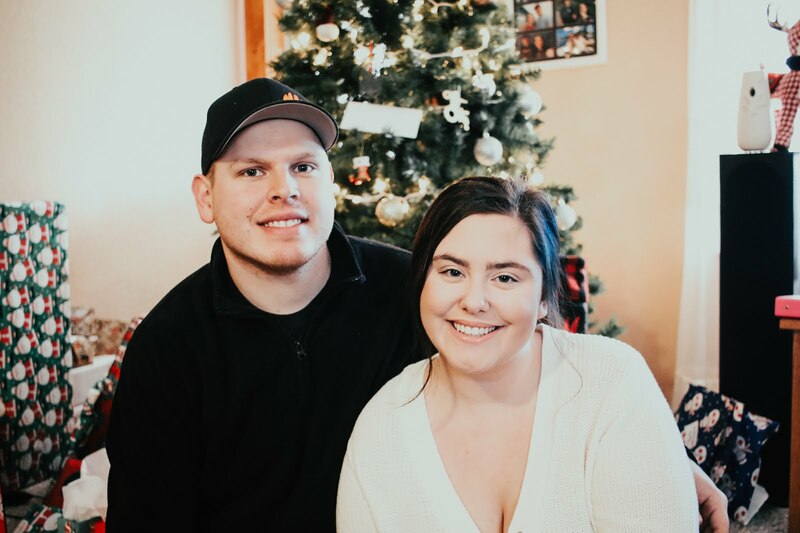 Hi loves, I am so excited for todays blog post. I am a huge fan of Kat Von D and I was so excited when I found out she was coming out with new eyeshadow quads. So of course I had to pick one up to try. 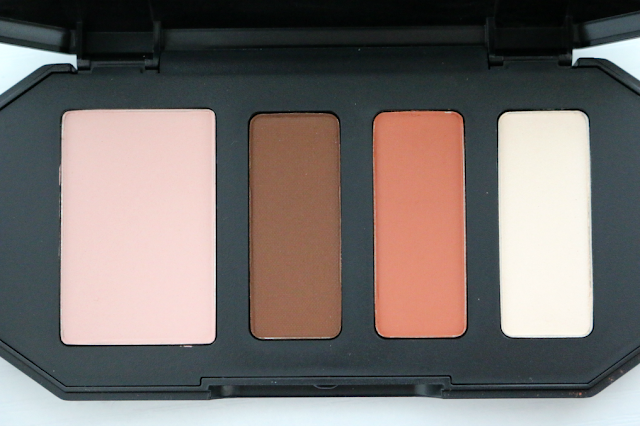 This is the Shade + Light Eye Contour Quad, and this one is in the shade Rust. There is also 3 other palettes you can purchase that have purples, greens and smokey shades. Kat Von D has amazing eyeshadows and I must say, this quad did not disappoint me. The packaging of these palettes are pretty bulky. 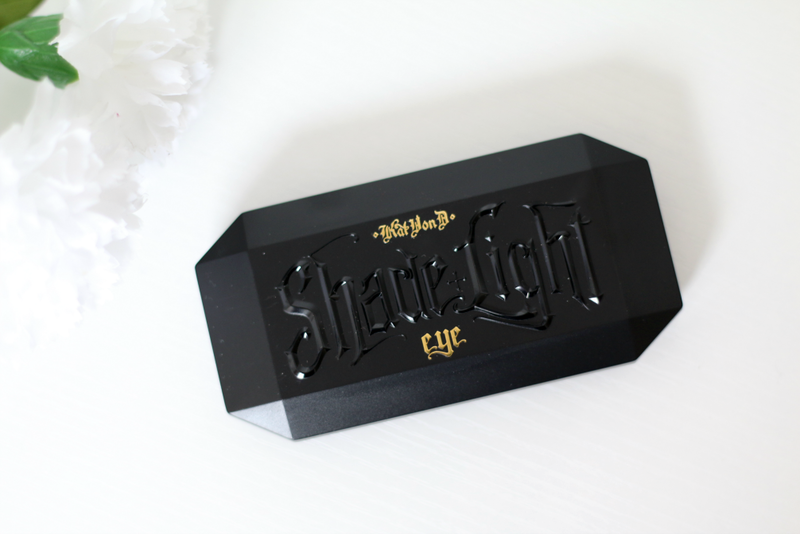 I think the packaging is super cute, but does take up a lot of space for just having 4 shadows. 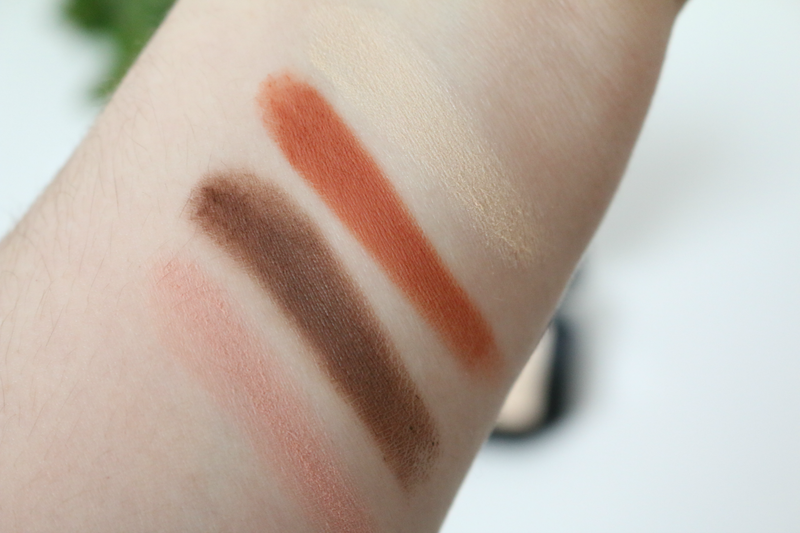 Also, all the shades in these palettes are matte. I am such a fan of matte so these really excite me. Rust is the more warm toned quad in the collection. I typically like wearing more cool toned shades, but the burnt orange in this palette was really calling my name. 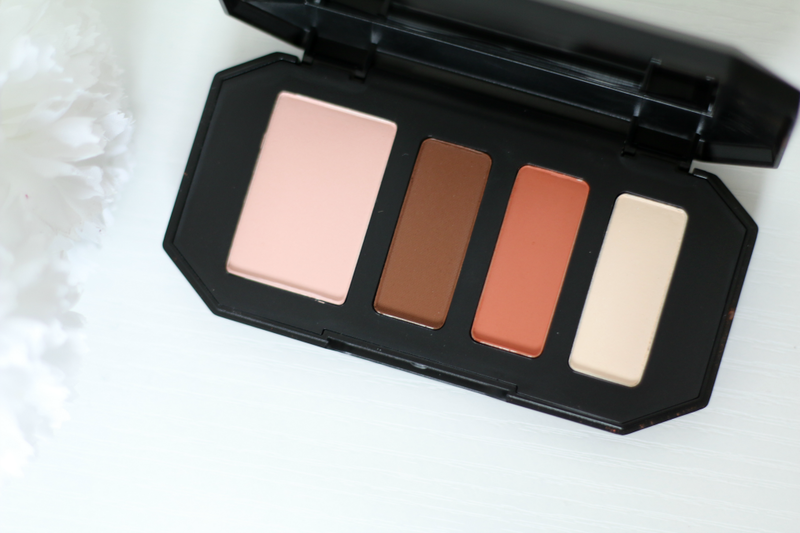 This palette comes with a light fair pink shade, a medium warm toned brown, a burnt orange shade and a light cream shade that has a hint of yellow. I found all of the shades to be very smooth and buttery. I did notice that the cream shade was a tiny bit chalky, but with the pigmentation and the smooth texture, the chalky-ness on that shade does not both me. The pigmentation was incredible. I barely had to stick my finger into the product or my brush, and the color was just amazing. With the soft texture, they are super easy to blend out. Since I love this one so much, I must order the rest of the quads because I just love the eyeshadow formula so much. Plus these palettes only retail for $26.00, which I find amazing as well. Great price point, and great products. You can currently buy this quad and the rest at www.sephora.com.